An international team of astronomers has used ESO telescopes to investigate a relic of the primordial Solar System. 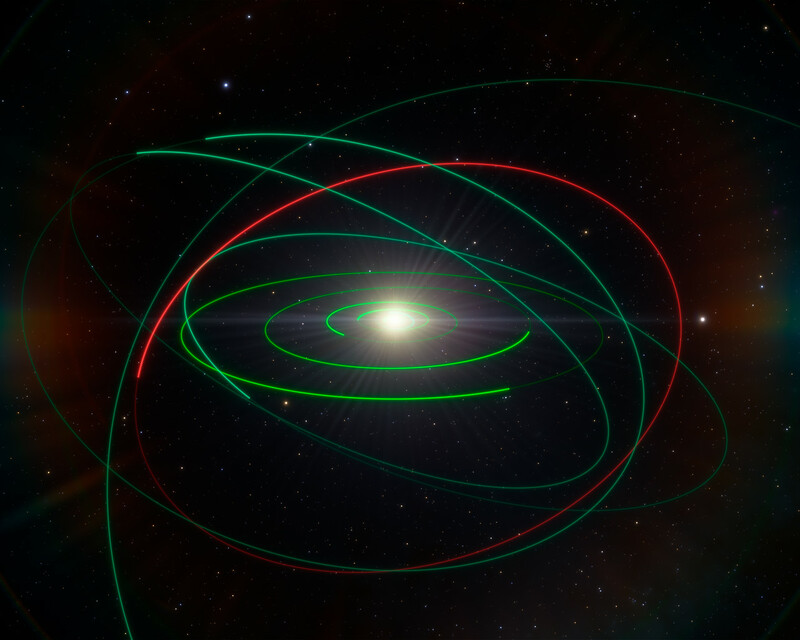 The team found that the unusual Kuiper Belt Object 2004 EW95 is a carbon-rich asteroid, the first of its kind to be confirmed in the cold outer reaches of the Solar System. 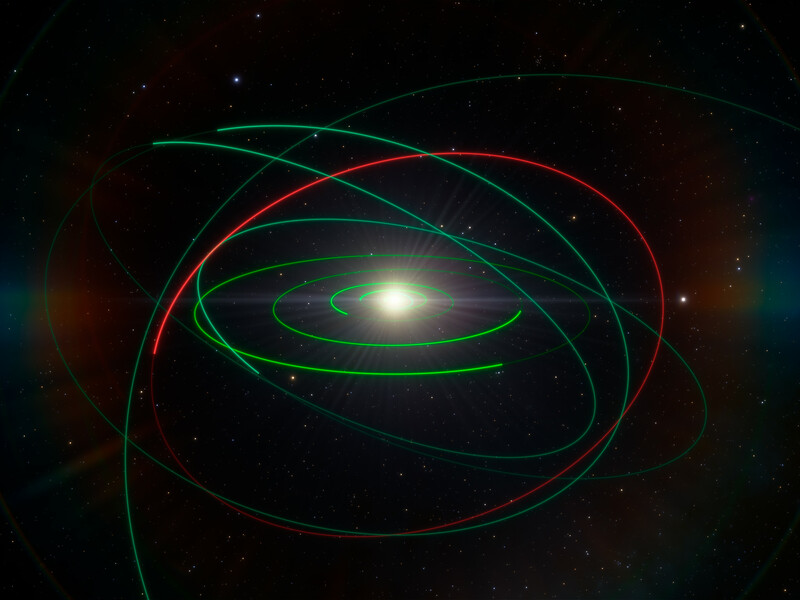 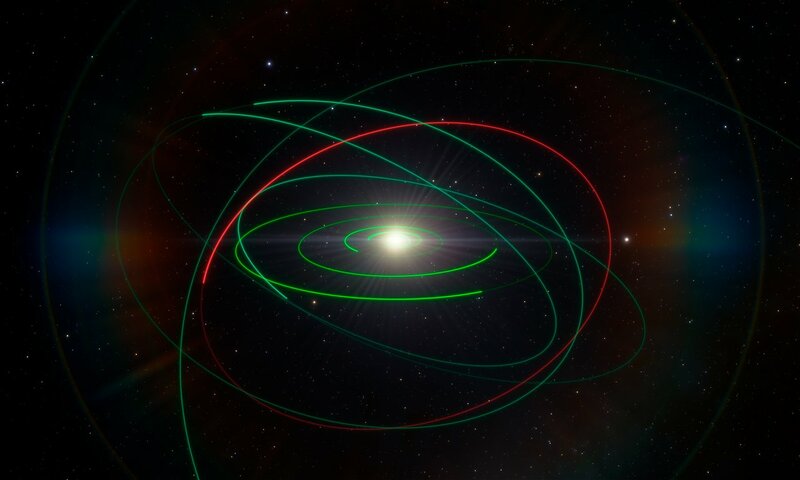 The red line in this image shows the orbit of 2004 EW95, with the orbits of other Solar System bodies shown in green for comparison.